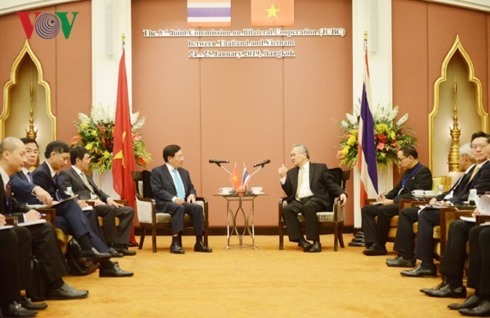 (26 January 2019) Vietnam and Thailand agreed to work towards reaching US$20 billion in bilateral trade by 2020 during the recent Joint Committee on Bilateral Cooperation meeting held in Bangkok chaired by Vietnamese deputy prime minister and foreign minister Pham Binh Minh and Thai foreign minister Don Pramudwinai. Both sides agreed to boost investment and business cooperation, as well as cooperation with member states to promote the role of ASEAN in key regional issues, with both countries Chairing ASEAN in 2019 and 2020 respectively. Notably, Vietnam lauded the Thai government’s agreement to expand the occupational areas in which Vietnamese workers will be permitted to work in in Thailand. (24 January 2019) Bilateral trade between Cambodia and Thailand reached US$8.4 billion last year, a 35.5% growth from US$6.1 billion in 2017. Of the sum, Cambodia’s imports from Thailand grew by 44% reaching US$7.6 billion, while its exports declined by 14.1% reaching only US$768 million. According to vice president of the Cambodia Chamber of Commerce, the country’s significant increase in imports from Thailand was backed by strong economic growth in 2018, driven particularly by its construction and tourism sectors. The vice president also attributed the decline in Cambodian exports to border trade restrictions on raw agricultural products imposed by the Thai authorities. However, he noted that authorities in both countries agreed to establish a working group to address these trade issues. (30 January 2019) Bangkok Airways expanded its reach in secondary Vietnamese markets with the launch of a new direct route from Bangkok to Vietnam’s central coastal town of Cam Ranh. The new service comes as part of the airlines’ strategy to tap on high potential, low competition routes to niche tourist destinations. According to the Vietnamese National Administration of Tourism, Cam Ranh and other cities in Vietnam’s Khanh Hoa province received 6.3 million visitors in 2018 and the number is expected to rise by half a million this year. The airline also plans to add more routes to Luang Prabang and Krabi later this year, as well as a route connecting Thailand to Myeik and Dawei in southeastern Myanmar. (25 January 2019) Thailand’s National Energy Policy Council (NEPC) has approved the country’s power development plan (PDP) for the 2018-2037 period. Among the highlights of the PDP were provisions emphasizing greater private sector participation in power generation, reducing the fraction of power generated by the state-run entity from 35% to 24%, increasing representation of non-fossil power sources to 35% of the country’s total power capacity by 2037, and reducing coal-fired power plans to 12% by the same year. Further, the NEPC has ordered the Energy Ministry to begin discussions with Laos and Cambodia on their power generating capacity and prices if they wish to establish plants and sell power to Thailand. The new PDP is the first of five new plans to be enacted under the country’s energy reform blueprint, with the other four plans being in the areas of oil management, natural gas supply, alternative energy development, and energy savings and efficiency. 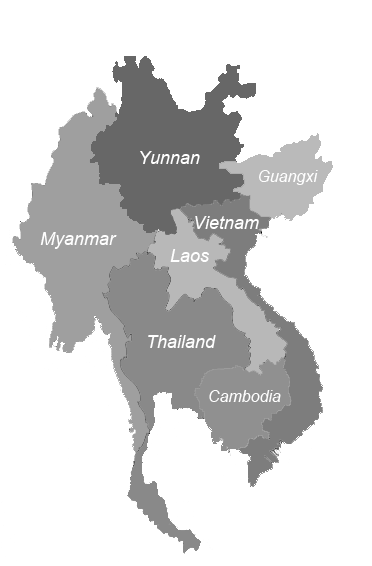 (30 January 2019) There are presently 12 cooperation mechanisms related to the Greater Mekong Subregion (GMS), the most recent one being the China-led Lancang-Mekong Cooperation (LMC) framework created in 2015. However, progress has been slow when it comes to ASEAN’s involvement in the development of the Mekong subregion, such as the slow progress made in advancing the ASEAN Mekong Basin Development Cooperation (AMBDC) platform. This was argued by analysts from Nanyang Technological University in Singapore. The AMBDC’s flagship project — the Singapore-Kunming Rail Link — remains unfinished despite the idea being mooted more than twenty years ago. As such, ASEAN ought to pay more attention to the subregion to achieve greater connectivity within Southeast Asia and ensure that it does not lose its relevance to other countries such as China and Japan.